-cranberry - what could be better? -did I mention it cooks all day without any help from you? 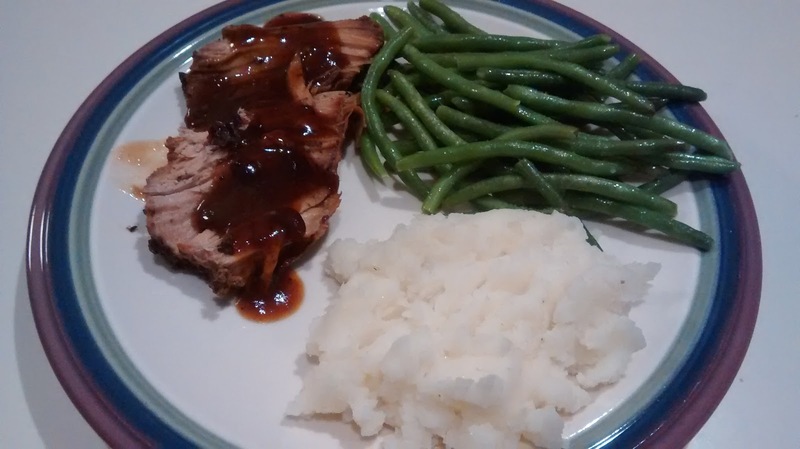 We loved this served with mashed potatoes and green beans. 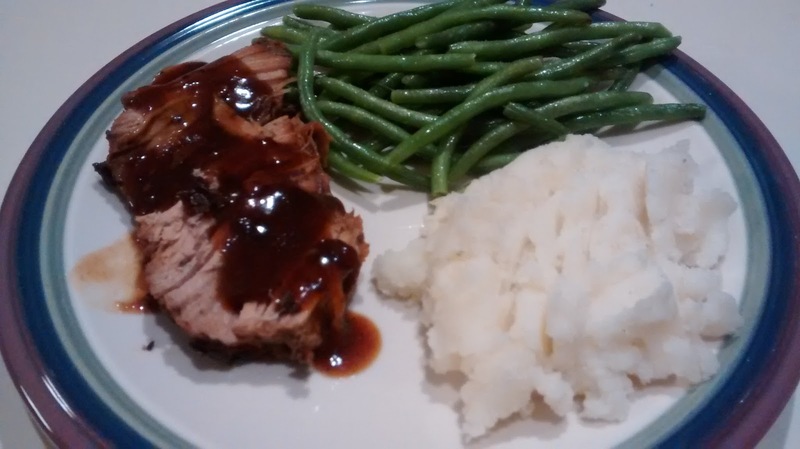 Embrace fall and your crock pot and have a fantastic dinner, even on a week night! Get more inspiration at Clever Chicks, Create Link Inspire, Hearth and Soul. Place roast in slow cooker. In a medium size bowl mash cranberry sauce; stir in 1/2 cup water, sugar, mustard and cloves until mixed. Pour mixture over pork loin. Cover and cook on low for 6-8 hours. Remove pork loin from crock pot to platter, shred, and cover with foil to keep warm. Pour liquid from the crock pot into a medium saucepan and bring to a boil over medium heat. Hi Lora, yes, in fact the original recipe called for jellied sauce. I used whole berry cause that's what I had on hand and what I prefer. But use jellied! I hope you'll make this and enjoy it. Cranberry Pork Loin recipe looks and sounds mouthwatering. Thank you for sharing with the Clever Chicks Blog Hop! I hope you’ll join us again next week! Delicious thank for sharing with Hearth and soul blog hop, pinning and tweeting.